according to report of Express News Israeli ambassador in Spain has received hundreds of letters from Spanish Kids in which kids has asked "Mr Ambassador how many Palestinian kids are killed today by Israel?". These Letters are sent to Israeli Ambassador when some of European countries are strongly criticizing the Israel for its brutality on the people of Palestine. After watching the letters Israeli Ambassador was very upset. according to report of Middle east study center in the letter Spanish kids have written about Israeli state terrorism, killings of innocent people, bombings, killings of small children and stopping food supply. 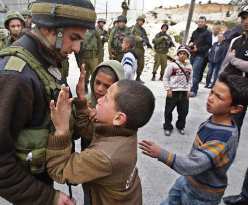 While this question exists in most of the letters "Mr Ambassador how many Palestinian kids are killed today by Israel?" Kids have also demanded ending of Israeli state terrorism on people of Palestine and independence of Palestine. from the writing of letters it looks like that the letters are written by small kids.